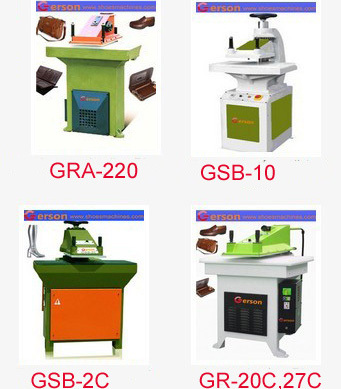 All of Geson clicker press can be for leather material cutting .Geson leather clicker press have the following models foryour choice when cutting leather or paper,rubber,plastic,textile ,etc., soft or semi-hrad material. 1.From 8 tons t0 28 tons for customers choice. 3. Double hands operation function guarantee the safety of operators. 4.Custom color ,size,power etc made.